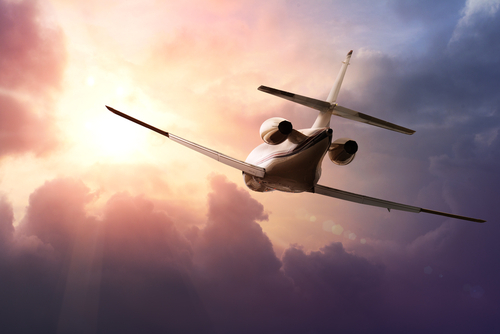 At trvlvip we focus on maximizing your airline reward earning and redemption opportunities to save you time and money. The more you know, the bigger your advantage and the greater the travel Luxury you’ll enjoy for your Loyalty! First of all, we are continuing to see better-than-ever global airfare deals across many airlines and, with lower fuel prices and increased competition, we expect the deals to keep flowing well into 2016. If you are flexible and can make a quick buying decision, you will benefit most! 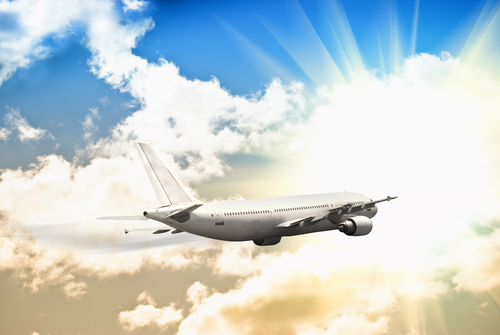 According to Hopper, in January 2016 the average price for a round-trip airline ticket is expected to be $210, which is close to 15% lower than last January! If we continue to see lower global airfare, it is our hope it will encourage the 41% of Americans that didn’t take a SINGLE VACATION DAY in 2015 (Booo!) to finally take a nice vacation! It is always so surprising to see how little Americans enjoy their earned vacation time. At trvlvip we try to save you time and money so you can travel better for less. So be sure to follow trvlvip’s Top Ten Airline Tips to get in on the great deals while maximizing your loyalty program rewards. In the first nine months of 2015, the four largest US-based airlines posted record profits mostly due to over $11 billion in fuel cost savings (an airline’s largest expense). And fares may be going down, but we all know airlines aren’t lowering fees. In fact in Q3 2015, US-based airlines posted the best profits since 2006 and collected over $1 billion in baggage fees for the first time ever (results for Q4 will be released in early May). In the first nine months of 2015, American Airlines (combined with US Airways) led the pack with collected baggage fees of $858 million, Delta collected $661 million, United collected $509 million and Alaska came in at a low $88 million. While the fees airlines charge continue to mount, luckily we are all benefiting from lower airline ticket prices and hope this trend will continue! Since Cuba will certainly be one of the most talked about global destinations for US travelers in 2016, I wanted to touch on it this month. On December 16, 2015, the United States and Cuba agreed to allow commercial flights between the countries. The timing is great as authorized American travel to Cuba was up 77% in 2015, and that isn’t even counting Cuban-Americans who visited Cuba. The growth is not surprising with new changes allowing Americans to participate in cultural and educational programs without applying for Treasury Department permission. Although, technically, traveling to Cuba strictly for tourist activities is still prohibited. Currently charter flights are the only flight option for Americans to access Cuba, which are complicated to book, require airport arrivals up to four hours before the flight and have archaic booking systems requiring the emailing of documents and payment information to an agent. So, it’s exciting news that US and Cuban officials have agreed to allow commercial flights, which are expected to start in 2016. And, as a side note, US Postal Service mail will start again after a 52-year hiatus and there has been lots of talk about ferry service to Cuba in 2016 as well! Of course, Cuba is one of the places that savvy, adventurous travelers wish to visit most before it becomes overrun with tourists and too commercialized. Non-American tourist have been able to enjoy authentic Cuba for many years. With an over 17% increase in total tourism in 2015, due mostly to the influx of US travelers, Cuba is already starting to feel the strain of the growth in tourism and currently lacks the infrastructure to handle the inflow. Long lines, lack of enough rental cars or other transportation options and a scarcity of hotel rooms are all taking their toll. So do you go to Cuba now or wait? It’s a tough decision. 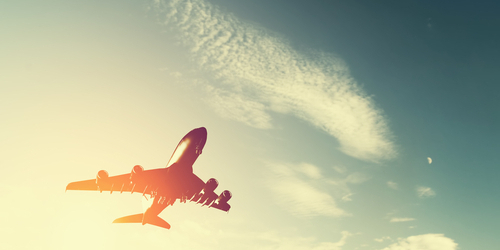 We added some excellent airline updates, Perks and Tips for you this month! We just returned from a three-week, six-country vacation and Alaska Airlines was a big part of helping us save 85% on our luxurious journey. We secured two Business Class award tickets from the Maldives, connecting through Dubai, to Seattle on Alaska’s airline partner Emirates. We paid $131 and redeemed 145,000 (72,500 per ticket) Alaska Mileage Plan miles. Together those tickets would have cost us $9,847 had we paid cash (which equates to a value of 6.7 cents for each Mileage Plan mile) and boy was Business Class with Emirates luxurious! And we were able to build in a FREE five-day stopover in Dubai. Free stopovers are one of the many Alaska Airlines Mileage Plan benefits. With that stopover we visited Muscat, Oman and Abu Dhabi and Dubai in the UAE before we returned to Seattle. All three of those cities were a major highlight of our vacation and all courtesy of Alaska’s flexibility regarding free stopover on award flights! We booked these flights well in advance with no worries. Both my husband and I enjoy MVP Gold Elite status with Alaska Airlines, so all change and cancellation fees are always waived on Alaska Airlines as well as any of their airline partner flights. And remember, it’s also free to change and cancel flights for all flyers 60 days or more before the flight! The big news this month at Alaska Airlines is the unveiling of Alaska’s first major brand change in 25 years! By the end of 2016, Alaska plans to repaint 40 of its aircrafts (around 20% of Alaska’s total fleet) with the new design and complete the full fleet over the next few years. You’ll also see the new design at Alaska’s main airport hub in Seattle right away and at over 100 airports by the end of 2016. By the spring, Mileage Plan members will receive new rebranded cards, you’ll see subtle changes to Alaska’s employee uniforms and the Mileage Plan section of the website will be refreshed. And if you have the Alaska Airlines Visa, new rebanded cards will be available this summer. Alaska Air Group experienced record fourth quarter and full-year earnings in 2015 and employees at Alaska Airlines and Horizon Air will receive bonuses of more than nine percent of their annual pay! And Alaska Air Group increased its quarterly dividend by 38%. It’s great to hear that Alaska is doing so well. STATUS MATCH TO ALASKA AIRLINES MILEAGE PLAN ELITE – If you hold Elite loyalty program status with a competing airline, Alaska will match your status without any other requirements. So if you are unsatisfied with your current airline for any reason, and Alaska Airlines along with their partners have enough flight convenience from your home airport, we suggest you go for the Gold. And if you are already Mileage Plan Elite, tell any Elite flyers you know about this one! SAVE MONEY ON ALASKA AIR AWARDS WITH BRITISH AIRWAYS – Learn to avoid the high fees when using Alaska Airlines award miles to fly on British Airways and extend your journey with a free stopover! ALASKA BAGS FLY FREE WITH VISA – Loyalty has it perks! Alaska Airlines Visa Signature non-business cardholders enjoy the first checked bag free for up to 7 people traveling in the same reservation on Alaska Airlines flights. SAVE UP TO $300 ON HAINAN & ALASKA – Act fast! Save up to $300 on your next trip to China! You’ll need to book before January 31 for travel through June 30, 2016. ALASKA AIRLINES SKI & FLY FREE PROMO – If you love to ski or just to visit the great cities near beautiful ski destinations, you’ve got big slopes and fresh powder in your future! Register before February 5, 2016 (or your first qualifying flight), fly 4 qualifying nonstop flights (or 2 round trips) between 15 incredible ski destinations through February 23, 2016, to enjoy an airline ticket compliments of Alaska! And always visit trvlvip before renting a car to review the many great discounts and bonuses with Avis, Hertz and National. And be sure to check out all of the current Alaska Perks and the many great Travel Tips! 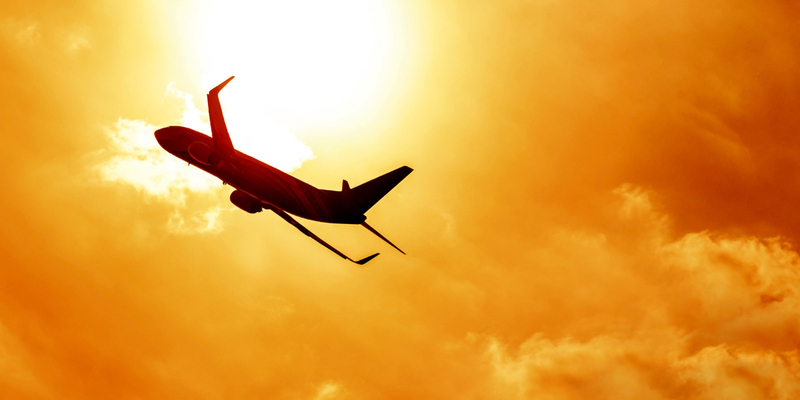 In January, American put their 2016 AAdvantage program into effect. AAdvantage members continue to earn credit toward AAdvantage Elite status through a combination of Elite-qualifying miles (EQMs) or Elite-qualifying segments (EQSs). And American eliminated Elite-qualifying points as of January 1, 2016 (which was a positive move and simplified the program). For now, you will continue to earn miles based on the actual distance flown plus a fare class bonus of 50% for First and Business Class. In additional American is extending their special premium bonus of up to 12,000 miles for First and Business Class flyers until mid-2016. You will also earn an Elite status bonus of 100% of actual miles flown for Platinum and Executive Platinum members and 25% for Gold members. Redeemable miles are not earned on award travel. American’s new revenue-based earning structure related to redeemable award miles will not be introduced until mid-2016. At that time, you will earn redeemable miles based on the price you pay for your base fare and airline-imposed surcharges as well as your Elite status level. You do not earn miles on government-imposed taxes and fees. For a detailed overview of the AAdvantage program changes as well as the known adjustments to American’s award charts effective March 22, 2016, see trvlvip’s informative overview. In recent news, American Airlines Group signed a joint venture agreement with the largest South American carrier, Chile’s Latam Airlines Group SA. The venture requires antitrust approval and, if approved, would provide seamless travel between the United States and Canada and six South American countries – Brazil, Chile, Colombia, Paraguay, Peru and Uruguay. And, as a reminder, American Airlines is testing extended holds in certain markets. If the extended hold option is available it will show in the drop down menu on the online booking page along with the standard 24-hour hold option. The costs are $7.99 for a three-day hold, $9.99 for a five-day hold and $11.99 for a seven-day hold – which is a small price to pay for the added flexibility when you need it! ACHIEVE ELITE WITH AMERICAN SOONER – The American Airlines 2016 Elite status challenge provides an opportunity to achieve Elite status with AAdvantage sooner and for AA Gold and Platinum Elite status you aren’t even required to hold Elite status with a competitor to participate. If you are currently Elite with American, pass this one on to friends and family! AMERICAN ELITE RENEWAL & BOOST – American Airlines is once again offering an AAdvantage Boost or Renew opportunity for members who will fall short of qualifying (or re-qualifying) for AAdvantage Elite status in 2016. It’s an expensive and yet easy way to catch up fast. AMERICAN AIRLINES AWARD DISCOUNTS – Have an American Airlines credit card? You may qualify for a discounted award with savings between 2,500 and 7,500 miles on American Airlines MileSAAver Award flights through March 31, 2016, if booked before January 30, 2016! Act fast! BUY AMERICAN MILES WITH A BONUS – American Airlines is offering up to 50,000 bonus miles to buy or gift miles until January 29, 2016! If you’re interested you’ll have to act fast! But don’t worry, we’ll let you know if and when it makes sense to purchase. Act fast on this if interested! FLIGHT CHANGE OR CANCELLATION OPTIONS – It’s comforting to know all of your option are in one spot. American’s change fees run as high as $450 (with no waiver for Elite members on paid tickets), so it’s very important to know the change and cancel fees before booking a flight. And always visit trvlvip before renting a car to review the many great American and other discounts and bonuses with Avis, Hertz and National. Be sure to check out all of the current American Airlines Perks and the great Travel Tips! This March will mark 75 years since Delta moved its headquarters from Monroe, Louisiana, to Atlanta, Georgia. And it’s fitting that Delta is participating in Atlanta History Center’s “Atlanta in 50 Objects” exhibit opening January 16, 2016. Because Delta is also celebrating 75 years of flight attendant service, they will display the colorful uniform worn by flight attendants during the summers of 1969 and 1970. 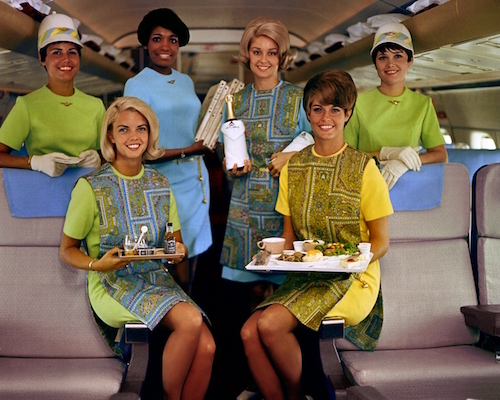 We thought you might enjoy a picture of Delta’s uniforms in 1969 – groovy! In 2015, Delta passed United Airlines to become the second largest US airline with 209.6 billion revenue passenger miles, compared to United’s recorded 208.6 billion revenue passenger miles. American Airlines remains the busiest airline and flew 223 billion revenue passenger miles in 2015. And Delta posted a record-breaking fourth quarter, with adjusted pre-tax income of $1.45 billion, up 42 percent from the previous year and full-year 2015 adjusted pre-tax income of $5.9 billion, up 29 percent from 2014. Delta also announced its largest profit-sharing payout in airline history at $1.5 billion. Delta now ranks among the top 10 percent of S&P industrials. On March 27, 2016, and subject to government approvals, Delta Air Lines and KLM Royal Dutch Airlines will launch a codeshare agreement with India’s Jet Airways. Delta and KLM customers flying from Europe and the US to Amsterdam’s Schiphol Airport will be able to connect easily and travel on one itinerary with baggage checked all the way through on Jet Airways daily flights to New Delhi and Mumbai, and onward service to 12 other destinations in the region. By the end of March, Delta SkyMiles members will have the opportunity to use SkyMiles or cash to purchase premium alcoholic beverages in all of the Sky Clubs. Premium drinks will cost you 100 miles per dollar. The Sky Clubs offer many alcoholic beverage choices on a complimentary basis. But if you want top-shelf, it makes more sense to pay cash. We value SkyMiles at 1.5 cents per mile, which is the what we feel you should strive to achieve when redeeming your miles for flights and upgrades. You only receive 1 cent per mile when you buy premium drinks in the Sky Club so you are better off paying cash and saving your miles for something more valuable! We bring this up because spending miles on most non-flight options will typically yield too low a value to be a sound economical choice. As we mentioned last month, for travel on or after June 1, 2016, the number of miles needed for Delta award flights will be based on destination, demand and other dynamics and award miles needed to upgrade under the Mileage Upgrade Award program will also increase. A big increase in the miles required for award flights on several popular routes is also expected. So, with all this, we suggest you consider using some of your miles to book a fabulous trip before June 1, 2016, when Delta awards will certainly be more expensive for long-haul flights. DELTA ELITE STATUS, REDEEMABLE MILES AND AWARDS – Knowing how to achieve Medallion Elite status and earn redeemable SkyMiles is pretty darn complex and with so many ways to redeem miles it’s hard to know a good redemption from a bad redemption. We’re here to help and have outlined four important things you need to know. DELTA’S PREMIER STATUS MATCH CHALLENGE – The SkyMiles Medallion Status Match Challenge offers non-Delta Airlines Elite flyers a faster way to achieve Medallion Elite Status. If you are a SkyMiles Elite member, be sure to tell your friends and family about this! DELTA’S FAST TRACK CORPORATE OFFER – The special SkyMiles Medallion fast track to Elite offer for Delta’s corporate partners provides non-Delta Air Lines Elite flyers a faster way to achieve Medallion Elite status for 2016 and into 2017, plus bonus miles! You must register before June 30, 2016. And again if you are a SkyMiles Elite member, be sure to tell your friends and family that work for big companies about this! BUYING DELTA MEDALLION MQMS – If you are short the Medallion Qualification Miles (MQMs) you need to achieve the Medallion Elite status you desire, Delta will sell you up to 10,000 MQMs until January 31, 2016. But does it make sense, and what are your other options? You’ll need to act fast if interested! DELTA’S 1,000 MILES PARTNER BONUS – Enjoy 1,000 bonus SkyMiles simply for performing 2 transactions with Delta partners before February 29, 2016 (happy leap year)! Remember the industry pairings between Delta and Starwood and Delta and Virgin Atlantic – both of which provide some super reciprocal benefits! And always visit trvlvip before renting a car to review the many great Delta and other discounts and bonuses with Hertz and National. Bonus trvlvip Tip: It’s comforting to know your flight change or cancellation options all in one spot. Delta’s change fees run as high as $500 (with no waiver for Elite members for paid flights), so it’s very important to know the change and cancel fees before booking a flight. Be sure to check out all of the current Delta Perks and the many great Travel Tips! We just returned from a three-week, six-country vacation and United was a big part of helping us save 85% on our luxurious journey. We were able to secure two Business Class United MileagePlus Saver Awards for our flight from Seattle to Kuala Lumpur on United’s airline partner All Nippon Airways (ANA). We paid just $37 and redeemed 140,000 (70,000 per ticket) MileagePlus miles. Together those tickets would have cost us $9,622 had we paid cash (which equates to a value of 6.8 cents for each MileagePlus mile we redeemed)! Since we found convenient routing and saved a bundle securing a Saver Award, we booked well in advance knowing that if we needed to change the date of the ticket while retaining the same routing, we could do that for $75 per ticket if more than 21 days before departure. Do these new Travel Options make sense? Maybe, but only if you need or want every one of the options and don’t enjoy them already as a result of your Elite status or from your United MileagePlus credit card. In another step to improve the customer experience, United is bringing back free snacks in United Economy in the Americas starting in February 2016. United also expanded the availability of complimentary meals and free beer and wine to more Latin American and Caribbean flights and made significant improvements to economy-cabin food and beverage service on long-haul international flights. And United Premier 1K and Global Services members will now enjoy a free cocktail and food item from the Choice Menu when flying economy on United and United Express flights within North America. As we’ve mentioned in prior updates, United’s CEO, Oscar Munoz, has been on an extended medical leave after suffering a heart attack and he has now undergone heart replacement surgery. It’s unclear when and if Mr. Munoz will return although in a note to employees he stated he expects to be back to United in the next few months. And as a good reminder, travelers already can redeem award miles for many goods and services including hotel rooms, car rentals, gift cards, shopping and more. But these options tend to yield the worst possible value for your MileagePlus miles. We suggest dividing the total cost of the good or service by the number of required miles to understand how much value you are receiving for each mile. We believe the value of a United MileagePlus mile is currently about 1.5 cents. So, if you receive this value or better you’ve found a good deal. And, if not, we suggest you reserve your miles for award flights and upgrades which tend to be a much better value for your MileagePlus miles. UNITED AND HERTZ OFFER A BIGGER BONUS – Save up to 40% and earn up to 1,250 miles plus Elite benefits! And until May 31, 2016, enjoy an extra 1,500 bonus miles. These combined bonuses reward MileagePlus miles worth up to $41 simply for renting with Hertz! UNITED & MARRIOTT REWARDSPLUS – United MileagePlus and Marriott Rewards offer their RewardsPlus program to Elite members and it’s worth a very close look. Don’t miss out! UNITED AIRLINES – FLIGHT, VACATION & CRUISE DEALS – Each week United Airlines offers special weekend award and cash deals for those who have the ability to make last-minute trips. And, you’ll also find some very good flight, vacation and cruise specials with more flexibility. RARE UNITED STATUS MATCH + BONUS – United has an ongoing Premier Status Match Challenge that is open to most non-United Airlines Elite flyers with another major airline. And for lucky “targeted” top-tier flyers, United has invited you by email to participate in a very special bonus offer of up to 50,000 miles. While most of you may already be Elite with United, share this one with anyone who is considering a loyalty switch! Action must be taken by January 31, 2016! UNITED AIRLINES HOLD, CHANGE & CANCEL POLICIES – It’s stressful to push the buy button when purchasing an airline ticket with cash or reward miles. The fees to change or cancel can easily run into the hundreds for most types of tickets. It’s very important to know the policies of United Airlines before you buy. And, don’t forget you can stretch your MileagePlus award miles with a stopover or open-jaw. And be sure to check out all of the current United Perks and the great Travel Tips! We hope you enjoyed our monthly airline update! We’d love to have you follow us on Facebook, Twitter and Instagram (New!) and to share trvlvip.com with friends and family who enjoy travel and desire more Luxury for their Loyalty. I am going to check back each month to see these monthly summaries. It is so great that someone else is doing all the research on things I am interested in. Hey Jenny, we have moved these to quarterly so you’ll see another one in a few weeks. I’m happy you like them!